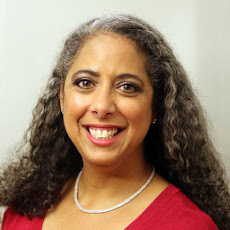 Lylah M. Alphonse: Do parents of biracial kids face special challenges? Do parents of biracial kids face special challenges? When social scientist Marion Kilson's children were born, in the 1960s, she assumed that they would identify as African American, like their father, not European American like herself. "I was still in graduate school," she remembers. "I wrote my term paper on slave revolts. I assumed my children would be identified as African American, and I wanted them to know that not all African Americans had been gospel about their slave status." Her friend and fellow social scientist Florence Ladd, on the other hand, says that she didn't have expectations about her child's race in his early years; it was her stepson, who is white, who "made me think about his future and racial identification in infancy." In their book, Is That Your Child? Mothers Talk About Rearing Biracial Children, Kilson and Ladd discuss the challenges facing parents in a multicultural world; the two hosted an open-to-the-public discussion about the race and identity this morning (Nov. 19) at The Advent School in Boston. "It's not just about the issues, really, it's about the relationships," Nancy Harris Frohlich, head of The Advent School, says of the discussion. Founded in 1961 on a social justice platform, about a third of the students at the school are people of color. "All learning and dialouge is built upon understanding one another and relationships." "We want to help people to feel comfortable with diversity," Kilson told me. She and Ladd see the event as "a way of heightening awareness for people who are not necessarily biracial or multiracial, but are interested in preparing their children to be engaged and live comfortably in a multicultural world." Kilson, who is European American, and Ladd, who is African American, had known each other for 40 years but had never really talked about their experiences parenting biracial children before, Kilson says. They talked to about 25 Boston-area parents while working on Is That Your Child?, and they kicked off their research by interviewing each other. 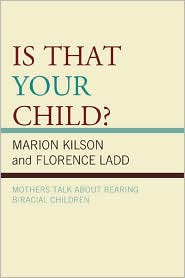 Kilson and Ladd focused on mothers rather than fathers ("We just felt that was really that a man would do better than we could," Kilson says) and decided not to touch on racial issues faced by adoptive parents. The parents they spoke with were from different generations, but most were upper middle class and all were from the United States. "Growing up in this society, we have a different take on race," Kilson says. Older generations tend to be more focused on the racial differences between a parent and a child, Kilson points out, even if they don't intend to be negative. She doesn't think it's possible to raise a truly color-blind child in American society -- I agree -- but younger people, who are more comfortable with race and diversity, navigate this multicultural world with ease. It's all they've ever known. "I perceive that, for our children, they didn't have a public choice about racial identity, whereas for our children's generation, their children have a choice about affirming all of their identities," Kilson points out. And the possibilities are endless. "When children see themselves in public figures as well as teachers -- that hope flows through them as well," Frohlich says. "We do expect children to value one another as individuals, regardless of ethnicity." Do you think parents of biracial kids face special challenges in today's society? How would you handle it if someone questioned your relationship or asked if you're the nanny simply because your skin color is darker or lighter than your child's?